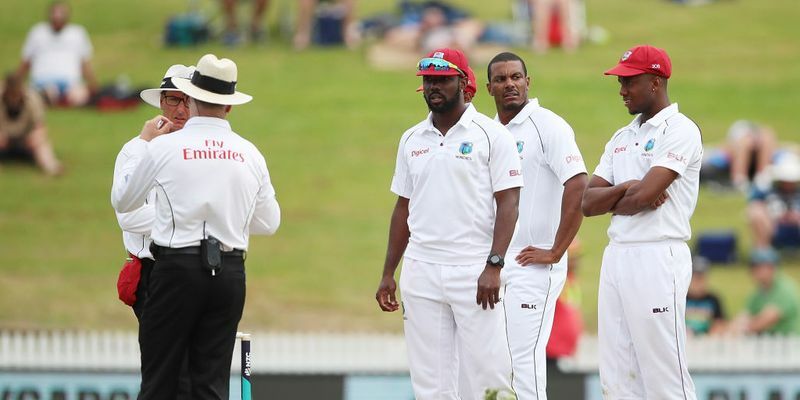 Shannon Gabriel has been banned for the first four One-Day Internationals of the upcoming five-match series against England for abusive comments on captain Joe Root during the third Test in St. Lucia. Gabriel was found guilty of breaching article 2.13 of the ICC Code of Conduct. On-field umpires Rod Tucker, Kumar Dharmasena and third umpire Chris Gaffaney levelled the charges, following which Gabriel accepted the sanction. Gabriel already had five demerit points against his name for two previous incidents involving physical contact with the opponents. He had received three demerit points during the Jamaica Test against Pakistan in April 2017 for barging on to Sarfraz Ahmed and a further two demerit points in the Chittagong Test against Bangladesh last November for a similar incident involving Imrul Kayes. As a result of the latter incident, he was suspended for the next Test in Mirpur, having reached the tally of four demerit points. Gabriel also received a fine of 75% of his match fee and three demerit points for the Level 2 offence which took him directly to eight demerit points within a 24-month period. This automatically equates to a ban from either two Tests or four ODIs or T20s. The 30-year-old from Trinidad was set for a recall to West Indies one-day team, but will now miss the first four matches of the upcoming ODI series with England which begins next week in Barbados.